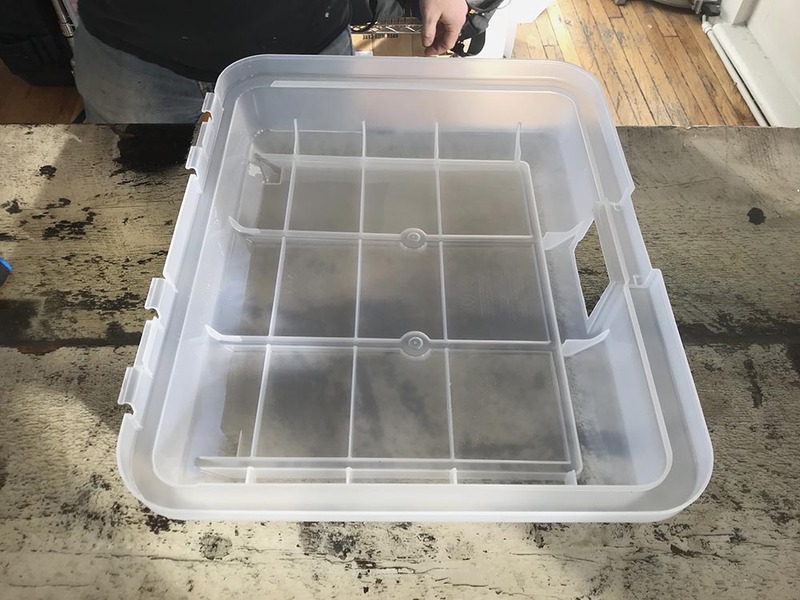 To begin, we’re going to install the clear acrylic window in the lid of the box. This will allow you to see your mushrooms as they grow. Start by releasing the latch and opening the box. 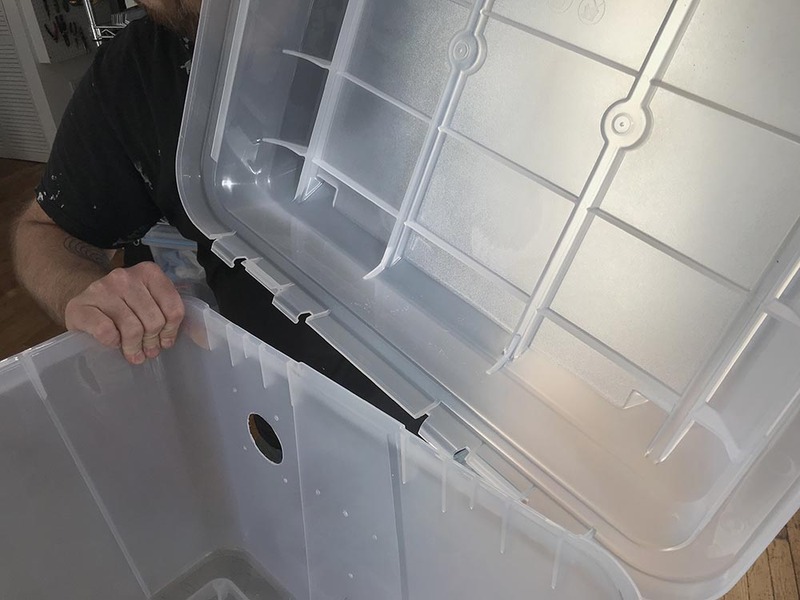 Open the lid all the way and gently lift up at the hinges to pop the lid off the enclosure. *Once you’ve got one side off, don’t just keep raising it, or it could break the hinge that’s still attached. Support the free side of the lid while lifting up near the hinge of the remaining side. Next, lay the lid on its top on a flat surface so that you have easy access to the porthole cutout. 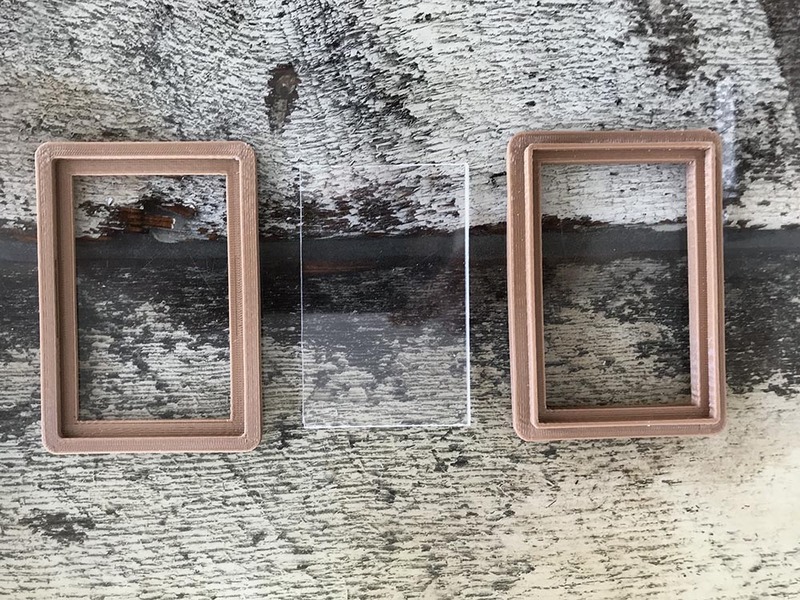 Get out the acrylic window from the components inventory, as well as the interior and exterior porthole frames. *In the photo to the right, the exterior piece is on the left and the interior piece is on the right. Place the acrylic window in the interior porthole frame. The interior frame is the one with the ridge sticking upwards. The exterior frame is the one with the impression facing inwards. With the acrylic in place, put the interior porthole frame in place. *If you want the porthole to be airtight, use clear silicone around the outside shoulder of the interior porthole cover. With your other hand, or a helper, bring the exterior porthole frame to the cutout from the outside. Line the two pieces up and snap them together. It may take some extra force, but you will hear it snap when it’s properly seated. Pat yourself on the back. You made it past level one. Let’s try mounting the chassis to the enclosure.